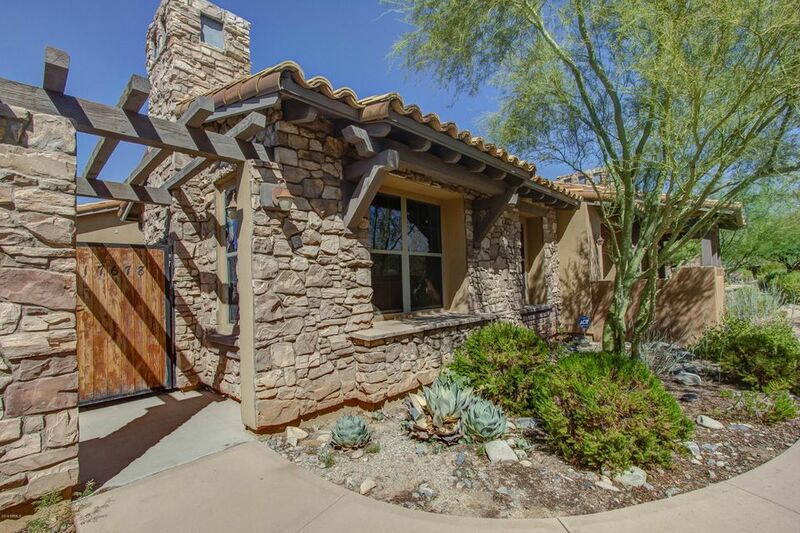 All VILLAS AT DESERT PARK VIL homes currently listed for sale in Scottsdale as of 04/24/2019 are shown below. You can change the search criteria at any time by pressing the 'Change Search' button below. "Ignore days on the market. Was under contract and buyer could not get financing and seller gave every opportunity to help. Popular one-story DC Ranch Villa on highly sought after corner lot. Home is designed around large private patio that backs to Natural Area, with french doors in every room for seamless indoor/outdoor living. The living room features wood floors and a gas fireplace, and the upgraded kitchen has granite counters, cherry cabinets, stainless appliances, and gas cooktop. A cust"